Russia’s Eastern Military District (MD) is apparently experiencing a junior officer shortage. The district headquarters in Khabarovsk announced this week that 227 of its contractees are set to receive lieutenant’s shoulderboards in the near future. The Russian MOD site indicated that these contractees already have a higher education, and 39 have a military specialization. Apparently, they will start serving immediately as junior officers. The other 188 have been enrolled in military training establishments (VUZy) for an unspecified period. Another 85 will soon be sent off for similar training. The MD is already selecting well-prepared contract servicemen who have a higher education. The district also intends to send representatives from its personnel directorate and military commissariats to western and central Russia to recruit individuals to serve as officers in the Eastern MD. The MOD site reminded readers that, in May, MD commander General-Colonel Sergey Surovikin said the district needed to find officers “who were forced to resign during the optimization of the structure and size of the Russian Army” as well as contract servicemen with higher education who want to be officers. The “optimization” of course was that of former defense minister Anatoliy Serdyukov. His effort to cut bloat in the officer ranks began in earnest in 2009. While focused mainly on senior officers, Serdyukov’s knife also slashed lieutenants and captains at the base of the TO&E pyramid. At the time, commentators reported complaints from units saying they had trouble keeping order and fulfilling routine requirements due to a lack of platoon and company commanders. In some sense, the news about a JO shortage is surprising given that each spring the MOD gushes about young lieutenants graduating from VUZy and taking up their responsibilities in the nation’s far-flung armed forces. It also brags about stiff competition to enter those VUZy every year. In another, it isn’t surprising. Serving in the military in Russia’s harsh and underpopulated Far East is no more popular than living there for other reasons. It’s a hardship post with little attraction for 22-year-old. Lastly, each contractee taken to become an officer means another enlisted soldier has to be signed up for the Eastern MD. And that’s a more difficult sell. One is left wondering if the recruitment of contract servicemen for the Far East isn’t going so well either. Sufficient numbers of young Russian men are just getting harder to find. It’s hard to get them to go where the military thinks they’re needed. Meanwhile, Moscow is trying to expand its force structure. And the very bottom of Russia’s demographic hole won’t be reached until 2018. 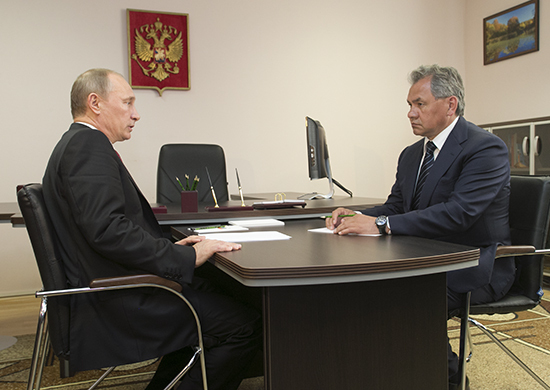 President and Glavk Vladimir Putin ordered Defense Minister Shoygu to conduct another readiness exercise yesterday. This time in the Eastern MD, to include the Pacific Fleet. Putin hinted he might show up in the Far East to watch. The Supreme CINC directed that particular attention should be paid to transferring large masses of troops to assembly points, to transportation support, and to logistical and medical support. Apparently, the Glavk’s bitter (but important) memory of August 12, 2000 is jogged at this time of year. He said he regards this year’s readiness checks as highly effective and extremely useful in eliminating problems. Today Mil.ru indicated the exercise has started, and expanded a bit. It includes not only the Eastern MD and Pacific Fleet, but the Central MD, LRA, and VTA. The “formations and units of the Central MD’s Novosibirsk large formation” (i.e. the 41st CAA) will play a notional enemy role. The ex aims to evaluate sub-units’ readiness to fulfill designated missions, the skill level of personnel, technical readiness, and proper outfitting with weapons and equipment. As in others, the readiness ex will feature marches (convoys) to unfamiliar ranges far from permanent bases for two-sided tactical play with combat firings. It will test the operational mobility of a formation (brigade) to a distance of more than 3,000 km. Troops will move by rail, ship, and VTA. More than 80,000 personnel, 1,000 tank and armored vehicles, 130 aircraft, and 70 ships will participate. The drill concludes on 20 July. 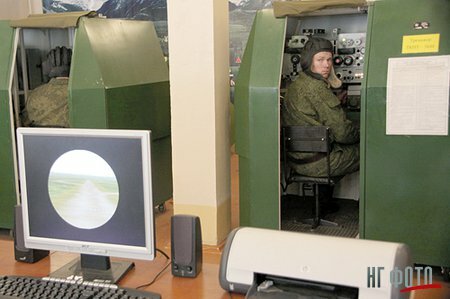 Mil.ru also covered a high command videocon devoted to the ex. Shoygu said up to 160,000 troops might be involved in one way or another. Eastern MD Commander, Admiral Konstantin Sidenko suddenly became the Kremlin’s man in Pyongyang yesterday. His visit to North Korea was kept tightly wrapped until his departure. Sidenko will visit the DPRK from August 22-26, while North Korean leader Kim Jong Il is in Russia’s Far East to meet President Medvedev. Moscow’s once close military relationship with the DPRK declined to practically zero over the past 20 years, hence the surprise of yesterday’s news. Meanwhile, Russia cultivated military-to-military ties with the rest of northeast Asia — China, Japan, and the Republic of Korea — leaving its old ally in the cold. Until yesterday. The Defense Ministry’s press release says Admiral Sidenko will meet command representatives from the Korean People’s Army, and consult on questions of renewing and further developing military and naval cooperation, possibly conducting Russian-Korean humanitarian exercises, and mutual ship visits between the RF and DPRK navies. Additionally, according to the press release, the sides will discuss the future of cooperation between their Ground Troops, the possibility of conducting joint exercises and training for naval SAR, and also the issue of providing assistance to civilians during natural disasters. One might suppose it’s equally possible the North Koreans wanted the Russian military to visit Pyongyang as part of its quid pro quo for considering a gas pipeline over its territory to South Korea. Arms sales seem unlikely, but probably because Moscow’s no longer in the game of providing free military aid. Admiral Sidenko is a lower level visitor, but it’s traditional for Moscow to send proximate regional commanders on such visits. MD commanders can be precursors to General Staff Chiefs and Defense Ministers, and higher-profile military relations generally. It’s almost impossible to know when the DPRK is involved, but this first interaction in nearly ten years automatically means something’s afoot. The participants themselves probably don’t know where a bit of diplomatic, economic, and military activity will lead. A thing rare in recent times was announced today . . . the promotion of a general officer. In this case, Southern MD Commander, General-Lieutenant Aleksandr Galkin picked up his third star. President Medvedev’s decree on General-Colonel Galkin was dated June 11, according to RIA Novosti. Large, well-publicized general officer promotion ceremonies used to be the norm, but no longer. Recall one of Defense Minister Serdyukov’s objectives was turning the “bloated egg” of the officer corps into a pyramid. As part of this, he planned to trim 1,100 generals to 900. Of course, Serdyukov had to walk back part of his decision on cutting officers this year, but generally it’s clear that lots of O-6s now occupy billets once held by one-stars. Army commanders routinely two-stars in the past now wear only one. And MD commanders who typically wore three, have been wearing only two . . . at least until now. Galkin joins Western MD Commander, General-Colonel Arkadiy Bakhin at the three-star rank. Galkin’s promotion shows the team has to be rewarded for doing the heavy lifting of establishing the “new profile.” Three-star rank also extends his statutory retirement to 60. Central MD Commander, General-Lieutenant Vladimir Chirkin and Eastern MD Commander, Vice-Admiral Konstantin Sidenko are both older than Galkin. They are likely serving on extensions right now, and might be better candidates for retirement than promotion. But another star can’t be ruled out. In Chirkin’s case, the recent arsenal explosions in his AOR won’t help him. Aleksandr Viktorovich Galkin is especially strongly linked to General Staff Chief, Army General Nikolay Makarov through his service in the former Siberian MD in the 2000s. Bakhin and Chirkin are also “Siberians” with ties to Makarov. Some details on Galkin: He was born March 22, 1958 in Ordzhonikidze (now Vladikavkaz), North-Ossetian ASSR. He graduated the Ordzhonikidze Higher Combined Arms Command School in 1979, and served in motorized rifle command posts up to chief of staff and deputy commander of a battalion in the GSFG. He was a battalion commander in the Far East MD. In 1990, he completed the Frunze Military Academy, and served as a motorized rifle regiment commander in the Transcaucasus, and chief of staff and deputy commander of a motorized rifle division in the Far East MD. On completing the General Staff Academy in 2003, he served as deputy commander of the 41st Combined Arms Army (Novosibirsk), and chief of staff and first deputy commander of the 36th Combined Arms Army (Borzya). In 2006-2007, he commanded the 41st. In 2008, Galkin became deputy commander, then chief of staff and first deputy commander of the Siberian MD. In early 2010, he became commander of the North Caucasus MD, and the renamed Southern MD early this year. Nezavisimoye voyennoye obozreniye’s Viktor Litovkin wrote recently about his Defenders’ Day press pool visit to the 212th District Training Center (OUTs or ОУЦ) in Peschanka, and to the 29th Combined Arms Army in Chita. Formerly part of the Siberian MD, they’re now in the Eastern MD or OSK East. Litovkin set out to see how the military’s “new profile” has been implemented in the four years since he last traveled to Transbaykal. Litovkin said the army’s future “junior specialists,” i.e. better trained conscript sergeants, aren’t just using simulators, and there’s lots of live action on OUTs ranges and training grounds. The majority of trainees were in training for a minimum of 8 hours a day, not including individual training and PT time. OUTs Chief, General-Major Sergey Sudakov is new himself, but says much has changed at the center. He says they’ve gotten new simulators, training buildings and barracks have been renovated, and the mess hall’s been outsourced so conscript-trainees no longer have to pull KP. Four years ago, the Siberian MD listed 5,970 personnel without housing, but now only 120. Those without apartments have been taken off the local books, and all their data’s been sent to the Defense Ministry’s Housing Support Department in Moscow. Now, however, there are rasporyazhentsy (распоряженцы), those officers, warrants, or sergeants at their commanders’ disposition, in all, more than 200 waiting for permanent apartments outside Transbaykal. But only 2-3 per month are getting a “letter of happiness” from Moscow saying they’ve been allocated housing, and, in many cases, it’s not in the location they wanted. The rasporyazhentsy were once commanders and chiefs but now they muster every morning to get orders from their former subordinates. They don’t get anything serious to do. They pull assistant duty officer for a unit once a week, or carry out a major’s orders for less than half their old pay. Medic Senior Sergeant Zhanna Litvinenko is a rasporyazhenitsa who’s waited two years for an apartment in Rostov-na-Donu or Krasnodar Kray. While waiting to return to “mainland” Russia, she lives on “bare pay,” without supplements, of 16,900 rubles, of which 3,200 pays for her dorm room. Litovkin visited the officers’ dormitory to see what’s changed since 2007. He describes familiar noisy corridors with common toilets, showers, and kitchens for officers and their families. The building’s been renovated, old wooden window frames and the boiler have been replaced, kitchens updated, and showers divided so men and women don’t have to use them on alternating days. One Captain Rinat Abubekirov and his wife say the load on officers has grown sharply now that there are fewer of them. The tank training regiment had 140 officers previously, now 98, in a company, there were 7, now 5, and the number of additional duties is unchanged. A company commander is now a captain, rather than a major as in the past. Abubekirov has been an O-3 for five years, and no one can tell him when he might make O-4. Training their conscript charges has changed. Instead of six months, they now have three to do it. The trainees’ education level varies greatly now — from higher education to some who didn’t finish high school. Many conscripts arrived in poor health, and the severe Transbaykal winter doesn’t help either. Minus forty isn’t rare, and -30° (-22° F) is the norm. They are just not physically or psychologically prepared. Nevertheless, OUTs Commander Sudakov says fewer are sick this winter than last. Then, Litovkin turns to the Chita-based 29th Combined Arms Army commanded by General-Major Aleksandr Romanchuk, where the NVO editor says he sees “solid changes.” All its units are fully manned and permanently combat ready. In what’s become a fairly common refrain, Romanchuk believes his army’s combat potential exceeds that of its predecessor [the Siberian MD]. He said he and his deputy spent a month at the General Staff Academy learning the new automated command and control system. He said his best subordinates can earn 100,000 rubles per month in bonuses. Litovkin says there are questions about the introduction of new equipment in Romanchuk’s command. It would be good if its tanks and combat vehicles could be replaced quicker. There are no UAVs or PGMs. The army relies on T-72B1, BMP-2, Strela-10 and towed air defense guns, and self-propelled Akatsiya and Msta-B artillery. Litovkin concludes that, while no one believes Mongolia or China will threaten Russia’s borders today or tomorrow, this army needs to train in a real way, with equipment from the 21st century, not the last one. But this, he continues, is not even the greatest problem. He was told at every level that it’s simply not possible to make yesterday’s schoolboy into a good specialist in a year. The commander of the 29th CAA’s 200th Artillery Brigade, Colonel Dmitriy Kozlovskiy, told Litovkin this spring he’ll lose 70 percent of his personnel. New gun commanders, gunners, radiomen, and reconnaissance, topographic, and meteorological specialists will arrive and in less than a month they’ll need to work like crews, platoons, and batteries, like a unified combat mechanism. They will learn and leave the army, and the process will begin again. Sounds like a Russian O-6’s plea for professional enlisted and NCOs . . . .
Litovkin finishes with a story from Romanchuk. He tells of a tank gunner conscript who hit his target [a 1 — an excellent in Russian training terms] on his 39th day of service. He said he just did everything as he was taught, and as he did on the simulators. In times past, according to Romanchuk, tank gunners got to fire live rounds only after serving six months, and this guy scored a 1 on his 39th day. But Litovkin asked how his buddies did. Romanchuk answered 2s and 3s. Yesterday’s decree on military appointments, dismissals, etc., is extremely long. It’s part of the process of redistributing staff personnel from 6 into 4 MDs. The Southern and Eastern MD staffs, in particular, get fleshed out by it. The outline of the new MD staff structure becomes visible with these changes. And the breadth and depth of the rotation and change in personnel pretty much assures it’ll take a while for the commands of the new MDs to operate smoothly. There are other individual notable points in this list. There’s now a Main Combat Training Directorate (GUBP or ГУБП) inside the Ground Troops, instead of a directorate. Maybe this is part of replacing the Defense Ministry-level GUBP. The MDs have their own troop training directorates . . . it’s interesting that the 3rd Air-Space (i.e. Aerospace) Defense Brigade is subordinate to the Baltic Fleet rather than the Western MD . . . a 49th Army has popped up in the Southern MD . . . Ryadovoy.ru says it’s headquartered in the former RVSN communications institute in Stavropol . . . Air Defense Chiefs renamed Chiefs of Air Defense Troops and Aviation. Here’s what the 9 January decree does. Captain 1st Rank Ildar Ferdinandovich Akhmerov, Deputy Commander, Primorskiy Mixed Forces Flotilla, Pacific Fleet. General-Major Vladimir Vladimirovich Derkach, Chief of Staff, First Deputy Commander, Space Troops, relieved of duty as Deputy Commander, Space Troops. Colonel Sergey Borisovich Ryzhkov, Commander, 39th Independent Motorized Rifle Brigade, Eastern MD. General-Lieutenant Nikolay Vasilyevich Bogdanovskiy, Deputy CINC, Ground Troops, Chief, Main Combat Training Directorate, Ground Troops, relieved of duty as Commander, Leningrad MD. Colonel Yuriy Aleksandrovich Popov, Commander, 3rd Air-Space Defense Brigade, Baltic Fleet. General-Major Viktor Borisovich Astapov, Chief of Staff, First Deputy Commander, 49th Army, relieved of duty as Deputy Commander, 41st Army. General-Major Sergey Sergeyevich Bashkin, Chief, Air Defense Troops and Aviation, Southern MD, relieved of duty as Chief, Air Defense Troops, North Caucasus MD. Captain 1st Rank Oleg Georgiyevich Gurinov, Chief, Naval Directorate, Southern MD. Colonel Igor Vladimirovich Dashko, Chief of Reconnaissance, Deputy Chief of Staff for Reconnaissance, Southern MD, relieved of duty as Chief of Reconnaissance, Deputy Chief of Staff for Reconnaissance, North Caucasus MD. Colonel Igor Mikhaylovich Yemelyanov, Chief, Radiological, Chemical and Biological Defense (РХБЗ) Troops, Southern MD, relieved of duty as Chief, Radiological, Chemical and Biological Defense Troops, North Caucasus MD. Colonel Igor Gennadyevich Kovalenko, Deputy Chief of Staff, Southern MD. General-Major Andrey Anatolyevich Kozlov, Chief, Railroad Troops Directorate, Southern MD, relieved of duty as Commander, 7th Territorial Command, Railroad Troops. General-Major Andrey Nikolayevich Kolesov, Chief, Organization-Mobilization Directorate, Deputy Chief of Staff for Organization-Mobilization Work, Southern MD, relieved of duty as Chief, Organization-Mobilization Directorate, Deputy Chief of Staff for Organization-Mobilization Work, North Caucasus MD. General-Major Sergey Vasilyevich Kuralenko, Commander, 49th Army, relieved of duty as Chief of Staff, First Deputy Commander, 5th Army. Colonel Aleksey Pavlovich Lemyakin, Chief, Material-Technical Support Planning and Coordination Directorate, Southern MD, relieved of duty as Chief of Rear Services, Deputy Commander for Rear Services, 2nd Army. Colonel Oleg Gennadyevich Maltsev, Chief, Automotive Service, Southern MD, relieved of duty as Chief, Automotive Service, North Caucasus MD. Colonel Mikhail Yevgenyevich Mizintsev, Chief, Operational Directorate, Deputy Chief of Staff, Southern MD, relieved of duty as Chief, Operational Directorate, Deputy Chief of Staff, North Caucasus MD. Colonel Sergey Mikhaylovich Panevchik, Chief, Personnel Directorate, Southern MD, relieved of duty as Chief, Personnel Directorate, North Caucasus MD. General-Major Fraiz Fazlyakhmetovich Salyyev, Chief, Technical Support Directorate, Southern MD, relieved of duty as Chief of Staff, Armament, First Deputy Chief of Armaments, North Caucasus MD. General-Major Vladimir Vladimirovich Samoylov, Deputy Commander, 49th Army. General-Major Oleg Yuryevich Torgashev, Chief, Troop Training Directorate, Southern MD, relieved of duty as Chief, Combat Training Directorate, Moscow MD. Colonel Oleg Viktorovich Chernyavskiy, Chief, Armor Service, Southern MD, relieved of duty as Chief, Armaments, Deputy Commander for Armaments, 5th Army. General-Major Aleksandr Nikolayevich Shvetsov, Deputy Commander for Material-Technical Support, Southern MD, relieved of duty as Chief, Rear Services, Deputy Commander for Rear Services, Leningrad MD. Colonel Stepan Stepanovich Yaroshchuk, Chief, Missile Troops and Artillery, Southern MD. Colonel Sergey Anatolyevich Bakaneyev, Chief, Missile Troops and Artillery, Eastern MD, relieved of duty as Commander, 39th Independent Motorized Rifle Brigade, Far East MD. Rear-Admiral Yuriy Yuryevich Berdnikov, Chief, Naval Directorate, Eastern MD, relieved of duty as Deputy Commander, Troops and Forces in the North-East. Rear-Admiral Vladimir Nikolayevich Vdovenko, Deputy Commander, Troops and Forces in the North-East. Colonel Andrey Aleksandrovich Volkov, Chief, Radiological, Chemical and Biological Defense Troops, Eastern MD, relieved of duty as Chief, Radiological, Chemical and Biological Defense Troops, Siberian MD. Colonel Vladimir Andreyevich Voropayev, Deputy Chief, Main Communications Directorate, RF Armed Forces, relieved of duty as Chief of Communications, Deputy Chief of Staff for Communications, Volga-Ural MD. Colonel Aleksandr Vladimirovich Glushchenko, Chief, Automotive Service, Eastern MD, relieved of duty as Chief, Automotive Service, Far East MD. General-Major Vladimir Vladimirovich Gorodnichiy, Deputy Commander for Material-Technical Support, Eastern MD, relieved of duty as Chief, Armaments, Deputy Commander for Armaments, Siberian MD. General-Major Aleksandr Vladimirovich Dvornikov, Deputy Commander, Eastern MD, relieved of duty as Commander, 5th Army. Colonel Sergey Anatolyevich Dolotin, Deputy Commander for Personnel Work, Chief, Personnel Work Directorate, Eastern MD, relieved of duty as Deputy Commander for Socialization Work, Far East MD. Colonel Sergey Romanovich Yeger, Chief, Railroad Troops Directorate, Eastern MD. General-Major Sergey Aleksandrovich Zhmurin, Chief, Air Defense Troops and Aviation, Eastern MD, relieved of duty as Deputy Chief for Training and Scientific Work, Military Academy of Troop Air Defense, RF Armed Forces. General-Major Andrey Nikolayevich Serdyukov, Commander, 5th Army, relieved of duty as Deputy Commander, 5th Army. General-Major Konstantin Georgiyevich Kastornov, Deputy Commander, 5th Army, relieved of duty as Commander, 70th Independent Motorized Rifle Brigade. Captain 1st Rank Valeriya Pavlovich Kostin, Chief, Personnel Directorate, Eastern MD, relieved of duty as Chief, Personnel Directorate, Pacific Fleet. Colonel Aleksey Vladimirovich Ostrovskiy, Commander, 70th Independent Motorized Rifle Brigade. General-Major Aleksandr Vasilyevich Peryazev, Chief, Troop Training Directorate, Eastern MD, relieved of duty as Chief, Combat Training Directorate, Far East MD. Colonel Pavel Vladimirovich Petrunin, Chief of Reconnaissance, Deputy Chief of Staff for Reconnaissance, Eastern MD. Colonel Yevgeniy Valentinovich Poplavskiy, Chief of Staff, First Deputy Commander, 29th Army, relieved of duty as Chief, Operational Directorate, Deputy Chief of Staff, Volga-Ural MD. General-Major Aleksandr Vladimirovich Romanchuk, Commander, 29th Army, relieved of duty as Chief of Staff, First Deputy Commander, 41st Army. Colonel Vladimir Petrovich Ryzhkovich, Chief, Technical Support Directorate, Eastern MD, relieved of duty as Chief, Armaments, Deputy Commander for Armaments, 36th Army. Colonel Konstantin Yevgenyevich Smeshko, Chief, Engineering Troops, Eastern MD, relieved of duty as Chief, Engineering Troops, Far East MD. Colonel Valeriy Mikhaylovich Timoshenko, Chief, Armor Service, Eastern MD, relieved of duty as Chief, Armor Service, Far East MD. Colonel Vladimir Viktorovich Trishunkin, Chief, Material-Technical Support Planning and Coordination Directorate, Eastern MD, relieved of duty as Chief of Staff, First Deputy Chief of Rear Services, Far East MD. General-Major Sergey Valeryevich Chebotarev, Deputy Commander, 29th Army, relieved of duty as Commander, 7th Military Base, North Caucasus MD. Colonel Aleksey Yuryevich Avdeyev, Deputy Commander, 41st Army, relieved of duty as Chief, Organization-Mobilization Directorate, Deputy Chief of Staff for Organization-Mobilization Work, Siberian MD. General-Major Vladimir Ivanovich Ashitok, Chief, Troop Training Directorate, Central MD, relieved of duty as Chief, Combat Training Directorate, Volga-Ural MD. Colonel Oleg Anatolyevich Bragin, Chief, Railroad Troops Directorate, Central MD, relieved of duty as Commander, 5th Territorial Command, Railroad Troops. Colonel Andrey Zaurovich Gagloyev, Chief, Engineering Troops, Central MD. Colonel Aleksandr Albertovich Glushchenko, Chief, Missile Troops and Artillery, Central MD. Colonel Oleg Vitalyevich Demyanenko, Chief of Communications, Deputy Chief of Staff for Communications, Central MD. General-Major Sergey Yuryevich Istrakov, Deputy Commander, Central MD, relieved of duty as Deputy Commander, Siberian MD. Colonel Oleg Valeryevich Karpov, Chief, Rear Support Directorate, Central MD. Colonel Aleksandr Nikolayevich Logachev, Chief, Armor Service, Central MD, relieved of duty as Chief, Armor Service, Volga-Ural MD. General-Major Aleksandr Ivanovich Nesterov, Chief, Personnel Directorate, Central MD, relieved of duty as Chief, Personnel Directorate, Volga-Ural MD. Colonel Oleg Olegovich Polguyev, Chief of Reconnaissance, Deputy Chief of Staff for Reconnaissance, Central MD. General-Major Yuriy Aleksandrovich Svintsov, Deputy Commander for Material-Technical Support, Central MD, relieved of duty as Chief of Rear Services, Deputy Commander for Rear Services, Volga-Ural MD. Colonel Mikhail Vyacheslavovich Smyslov, Deputy Commander for Personnel Work, Chief, Personnel Work Directorate, Central MD, relieved of duty as Deputy Commander for Socialization Work, Siberian MD. Colonel Igor Petrovich Sokorenko, Chief, Operational Directorate, Deputy Chief of Staff, Central MD. Colonel Yevgeniy Nikolayevich Tuchkov, Chief, Air Defense Troops and Aviation, Central MD, relieved of duty as Chief, Air Defense Troops, Volga-Ural MD. General-Major Sergey Viktorovich Khokh, Chief, Technical Support Directorate, Central MD, relieved of duty as Chief, Armaments, Deputy Commander for Armaments, 2nd Army. General-Major Eduard Anatolyevich Cherkasov, Chief, Radiological, Chemical and Biological Defense Troops, Central MD, relieved of duty as Deputy Chief of Armaments, Ground Troops. General-Major Sergey Anatolyevich Chuvakin, Deputy Chief of Staff, Central MD, relieved of duty as Deputy Chief of Staff, Volga-Ural MD. Colonel Leonid Vladimirovich Chumakov, Chief, Material-Technical Support Planning and Coordination Directorate, Central MD, relieved of duty as Chief of Staff of Rear Services, First Deputy Chief of Rear Services, Volga-Ural MD. Colonel Vadim Vladimirovich Karpovich, Deputy Chief, Missile Troops and Artillery, RF Armed Forces. Colonel Sergey Vladimirovich Bibik, Chief, Armor Service, Armaments Directorate, Moscow MD. Colonel Andrey Aleksandrovich Mityushkin, Chief, Rear Services, Deputy Commander for Rear Services, Moscow MD. Colonel Vladimir Levontyevich Zharov, Deputy Commander for Socialization Work, Moscow MD. Colonel Stepan Aleksandrovich Vorontsov, Chief of Rear Services, Deputy Commander for Rear Services, 41st Army. Colonel Viktor Viktorovich Tarayev, Chief, Armaments, Deputy Commander for Armaments, 41st Army. Colonel Zabit Sabirovich Kheirbekov, Chief, Armaments, Deputy Commander for Armaments, 35th Army. General-Major Mikhail Gennadyevich Krasnov, Chief, Serpukhov Branch, Military Academy of the RVSN. General-Major Sergey Leonidovich Melnikov, Chief, Economic, Finance and Accounting Directorate, RF Federal Service of Special Construction. 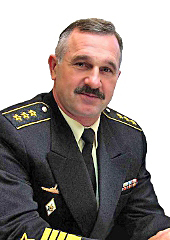 General-Lieutenant Aleksey Nikolayevich Nemkov, First Deputy Director, Federal Agency of Special Construction.